Public schools and transgender people have evaded the latest harmful machinations of Texas legislators—for now. 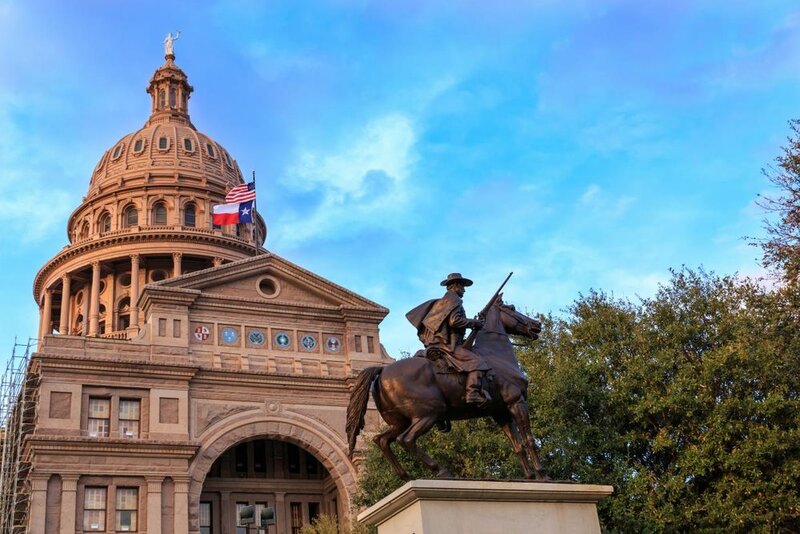 Last week, the Texas Legislature closed out the 30-day special summer session called by Gov. Greg Abbott (R) without passing two bills on Abbott’s agenda that would have threatened religious freedom: a private school voucher bill and an anti-transgender bathroom ban. Lt. Governor Dan Patrick (R), leader of the state Senate, made passing both a priority, and the Senate followed his lead by quickly approving both bills this summer. But the House, led by Speaker Joe Straus (R-San Antonio), continued to be a bulwark against these harmful bills, ensuring neither passed before the special session adjourned. Because the Texas Legislature only meets every other year, public education and transgender Texans may be safe from these threats until 2019, but there’s nothing stopping Abbott from calling another special session. Fortunately, that doesn’t seem like an imminent threat: The Texas Tribune reported that Abbott was pleased with the accomplishments of the summer session, despite lawmakers passing less than half of the items on his agenda. But should Abbott change his mind, Americans United will keep an eye on Texas. We won’t hesitate to remind lawmakers, again, that vouchers primarily fund religious schools, violating one of the core principles of religious freedom: No one should be forced to pay for someone else’s religious education. Public dollars should fund public schools, which serve all students and provide them with civil rights protections that private schools can ignore. And we’re ready to again dispel myths about bills that would discriminate against transgender people by prohibiting them from using public bathrooms that align with their gender identity. Many who support this type of legislation push false, harmful and even dangerous rhetoric about transgender people. We explained that these bills don’t support religious freedom. Religious freedom is a fundamental American value. It guarantees us all the right to believe, or not, as we see fit, but it does not give us the right to harm or discriminate against others. Using the restroom is a basic human need we all share and denying transgender people access to the bathroom harms and discriminates against them. The proposed anti-transgender bathroom ban in Texas faced widespread opposition, with everyone from faith leaders and religious organizations to major corporations and commerce groups speaking out against it. And there’s no doubt it would face similar backlash if it’s proposed again. Threats to religious freedom don’t just come from Texas, of course. Here in Washington, D.C., we’re battling against threats ranging from attacks on the Johnson Amendment, President Donald Trump’s proposal to expand federally funded private school vouchers, his reported plans to curtail women’s access to birth control based on employers’ religious beliefs, and more. As we have for 70 years, Americans United will continue to fight against these attacks on religious freedom and church-state separation. I hope you’ll join us.